Illegal drugs aren’t the only drug problem in the world. Counterfeit pharmaceuticals have plagued healthcare for decades or more. 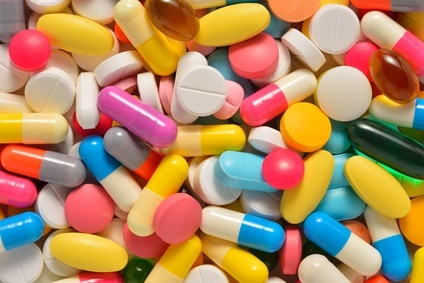 It’s relatively easy to manufacture “look-alike” tablets and capsules, as well as packaging and bar codes, and it’s a lucrative enterprise for organized crime and corrupt officials. Although it is a crime in most developed countries, counterfeiting isn’t illegal everywhere, and fake medicines enter the supply chain easily. Patients’ health is damaged, and legitimate drug manufacturers suffer a loss of brand trust as well as revenue. Writing in RFIDarena.com, Hanna Ostman reports that the FDA now recommends that drug manufacturers include RFID tagging throughout the manufacturing process, from raw ingredients to finished product. This “e-pedigree” gives a drug’s complete history, its composition, dosage, and expiration date. Pharmacists can scan the e-pedigree to make sure they’re dispensing a genuine medicament. Major pharmaceutical companies, including GlaxoSmithKline, Purdu, and Johnson & Johnson, are running pilot RFID projects. Pfizer now includes RFID tags in all its Viagra packages sold in the U.S. Although drug manufacturers have yet to agree on a common standard for RFID tagging, it’s starting to have a positive impact on product confidence and trust for the companies that adopt the technology.